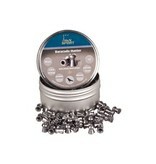 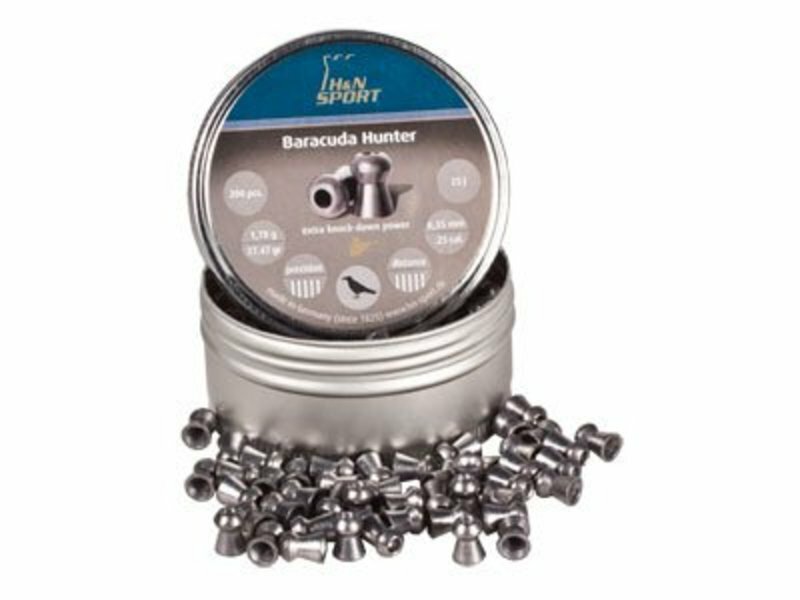 H&N Baracuda Hunter 6.35mm Pellets 200pcs. 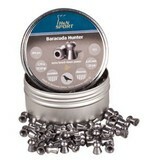 Heavy, exceptionally accurate hunting pellet for long ranges. 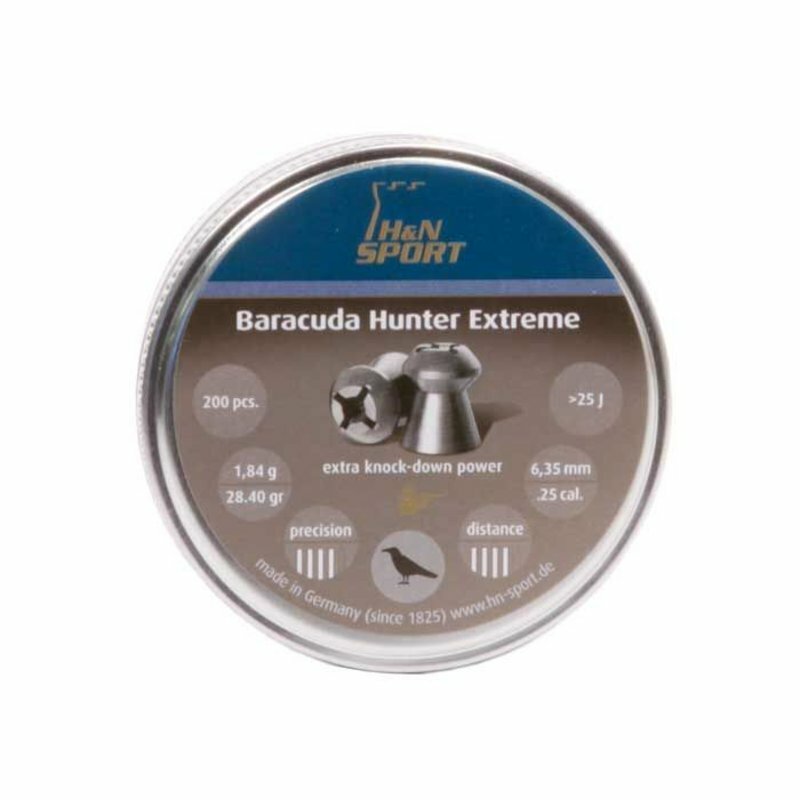 Advanced development of Baracuda design with best aerodynamic properties for maximum impact, high penetration and controlled deformation of pellet. Tight shot groups. 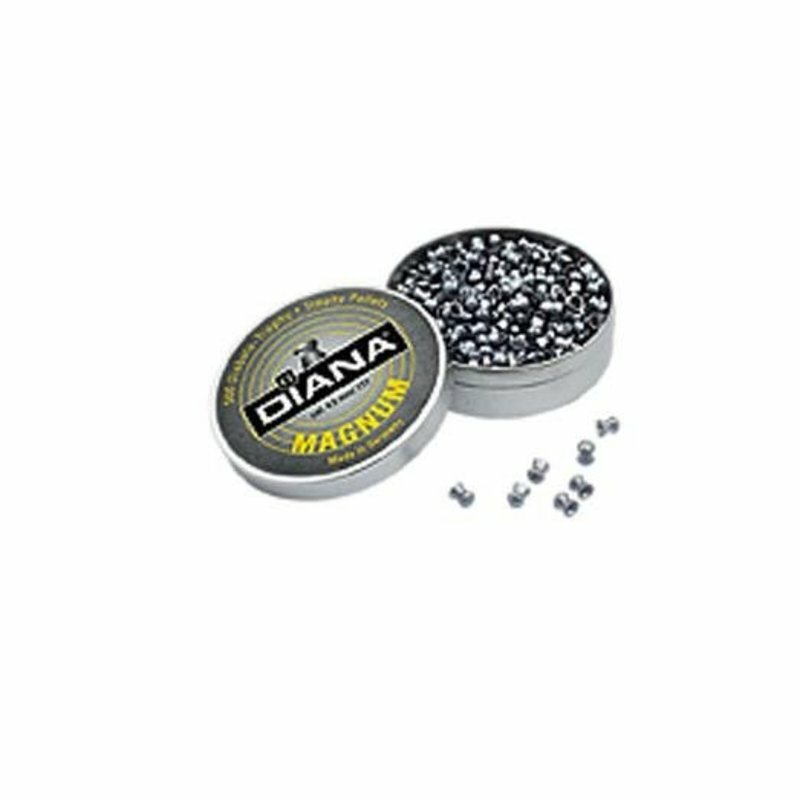 Smooth with deep hollow point.